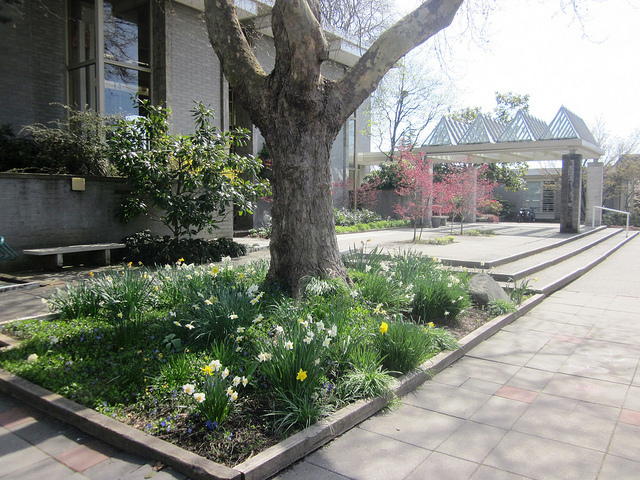 Our beautiful campus with courtyard and gardens and heritage buildings is rented for many community events. 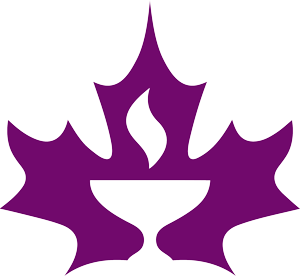 Many rooms are available for rental for concerts, meetings, performances and rehearsals, meditation and wellness retreats and more. 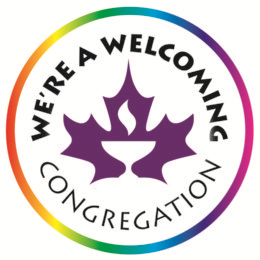 Spaces vary from 250 seats (Sanctuary) to small intimate spaces (Meditation Room, Family Room) appropriate for a group of 6-10. There is ample parking, free wifi, natural light in all spaces. 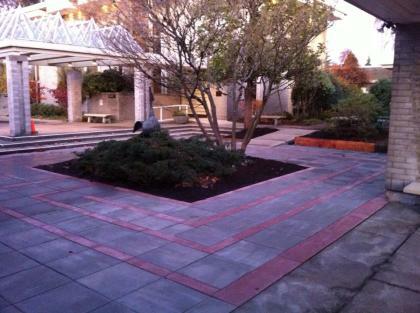 The location is close to both downtown Vancouver and Richmond (and YVR airport). 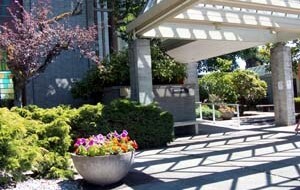 Public transit stops (#49 and #17) are right nearby and we are a few blocks from the Langara Skytrain stop. Your guests will feel welcomed as soon as they set foot on the beautiful grounds. 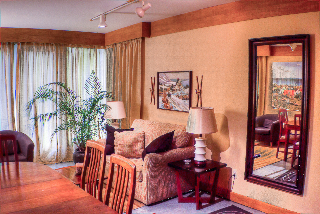 Hover over photo to see a brief description and scroll down for a complete description of each room. The Sanctuary is light-filled space which holds up to 250 people on two levels. It is popular for concerts, lectures, weddings,memorial services and ceremonies. The Main Hall in Hewett Centre, flanked by an alcove and the kitchen, can easily accommodate 100 people. French doors allow light and access to the courtyard garden. 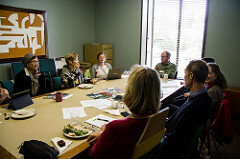 The Fireside Room can accommodate up to 40 people for celebrations, presentations, slide shows, workshops and receptions. This large meeting room (“Lindsey-Priestley”) has a sliding partition that can divide it into two smaller meeting spaces. You may rent one or both spaces. 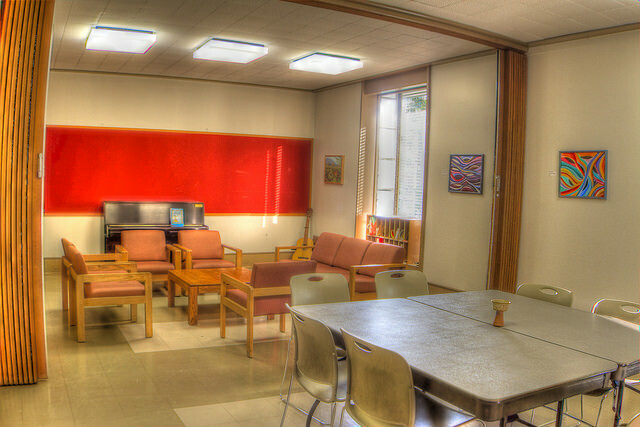 This multi-purpose room on the lower level (“Hitschmanova”) is a cozy room, appropriate for small groups. There is a conversation area as well as a work table. This board-room style meeting room (“Biddle”) has a white board and a large table that comfortably seats 12 people. 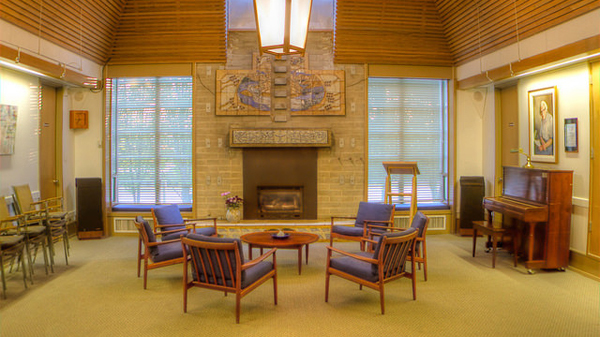 The Family Room is a short walk from the Sanctuary. It is furnished to enable a group such as a wedding party or performers to make their last minute preparations. 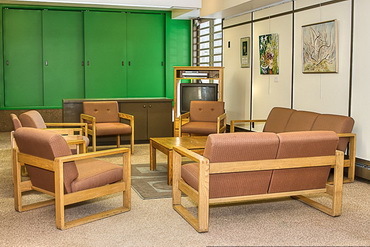 The Meditation Room is a quiet, intimate space for small group or individual meetings. 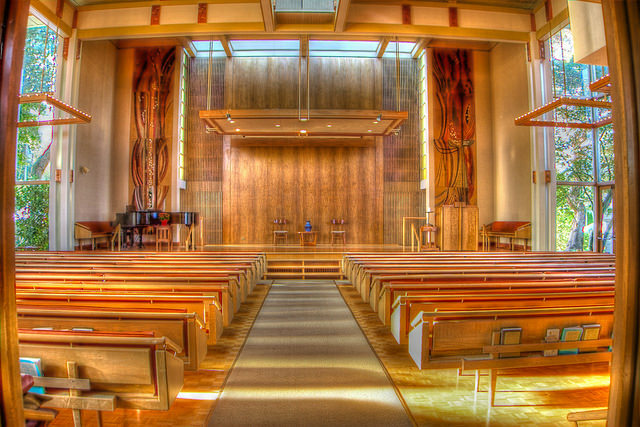 The Sanctuary is an auditorium-style space. This light-filled space which holds up to 250 people on two levels. It is popular for concerts and lectures. It is also a beautiful space for weddings, memorial services, and ceremonies. The large stage at the front of the room is ideal for recitals, choirs, chamber groups and plays. A grand piano is located on the stage and an organ is in the balcony. The space is equipped with microphones, operated by a sound booth in the balcony. Sound can also be sent to an overflow crowd in Hewett Centre. Throughout the year, the walls of the sanctuary are hung with monthly rotating art exhibits. Wall hangings can be placed over art if you prefer. It is furnished to enable a group such as a wedding party or performers to make their last minute preparations. It can be your “Green Room” for performers or a space for organizers to convene privately during a large event. 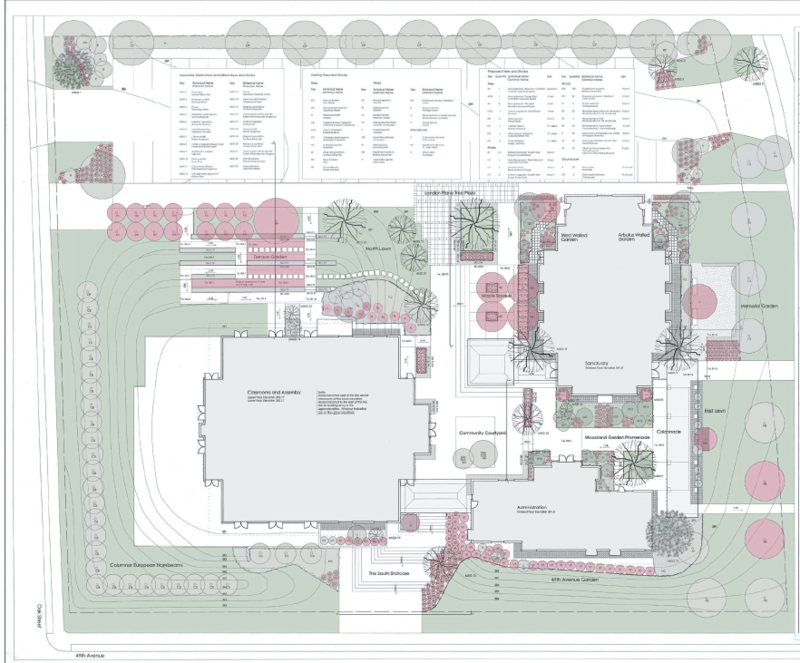 There is natural light and a door that opens directly onto the courtyard. Partitions can be closed between the room and the rest of the administration offices. It’s suitable for small meetings. 6-8 persons can be seated around the table. Up to 12 can sit comfortably in the room using the couch and chairs. It contains a large full-length mirror, two-seater sofa, chairs, lamps, coffee table, and meeting table with chairs. There are two washrooms and a kitchenette adjacent to this room. Hewett Centre features a large hall, a well-equipped, modern kitchen and the comfortable and cosy Fireside Room, as well as various meeting rooms to accommodate groups of various sizes. The Kitchen is fully equipped with a stove with oven, an additional convection ovens, microwave, large refrigerator, industrial dishwasher, coffee maker and dishes and cutlery for about 75. 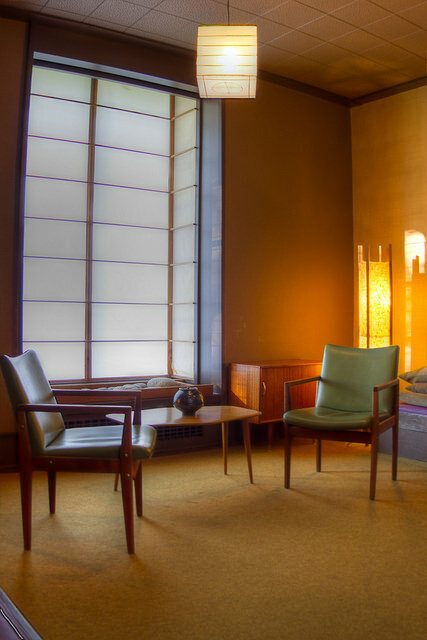 It is between the Main Hall and the Fireside Room and can be directly accessed from both rooms. There is a counter between the kitchen and Hall for easy service. Sliding doors on the hall side can be closed to reduce noise from the kitchen. On the Fireside room side there is a lockable door. 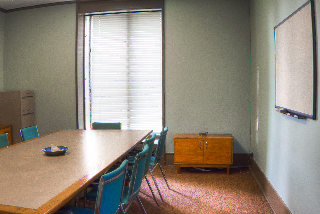 This board-room style meeting room (“Biddle”) has a white board and a large table that comfortably seats 12 people. It is a popular small meeting room. There is natural light. It is at the end of a hallway in a quiet, location. 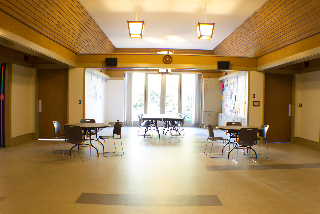 It can be used as a lockable space for organizers of events in the Fireside Room or a break-out room. It has padded benches on the two long walls. Four or six chairs can be added. This large meeting room (“Lindsey-Priestley”) is a double meeting room with tables and chairs. There is a sliding partition that can divide it into two smaller meeting spaces. You can rent one or both spaces. It is is our most popular smaller meeting room. There is a pull-down screen at the east side of the room. There is an upright piano available at no additional charge. This multi-purpose room on the lower level (“Hitschmanova”) is a cozy room, appropriate for small groups. There is a comfortable conversation area as well as a work table. Ideal for a gathering with 6-8 persons who want to easily move between conversation and a work/meeting table. There is an upright piano and a TV monitor with DVD player. Ideal for a committee or board retreat. It has direct entrance to the outside or can be accessed through going downstairs from Hewett Centre main floor. A counter for handouts or refreshments brought into the space provides a handy spot.